For those of you who know me and follow me on social media, will know that I’m a HUGE fan of pyrotechnics in airsoft - be it flashbangs, blank firing grenades and even smoke grenades, if I can use them you can bet that I will! As I was scrolling through my social media feed one evening I saw a post proclaiming that grenades are a ‘cowards’ way to play airsoft, and this got me thinking, are airsoft grenades really for players who don’t want to get close to their enemy? Or are they simply a tool to gain a tactical advantage? Let’s look at the positives and negatives, and see what the airsoft community has to say. 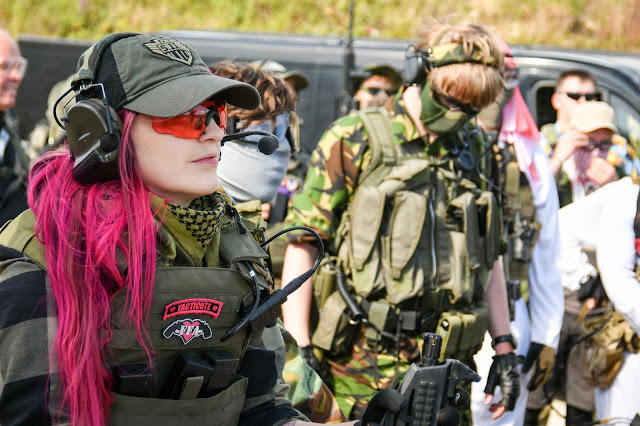 Playing mostly CQB in the UK, grenades have become so popular that they are now definitely part and parcel of the game - it would be pretty uncommon to go to a CQB game where no grenades are used at all and as they can sometimes be the difference between winning and losing an engagement. 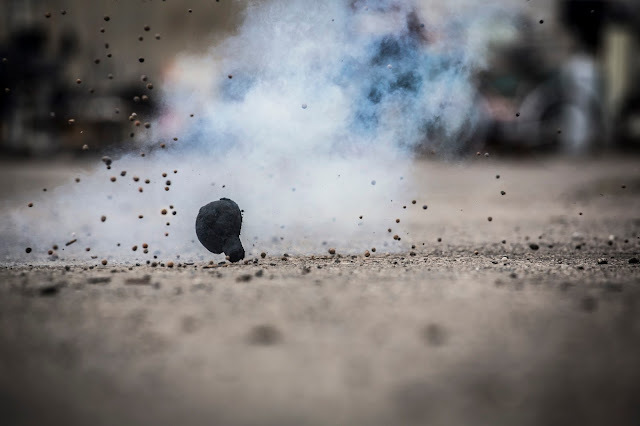 In my opinion, grenades are a tool to be used, just like other equipment that we use in the sport but what are the positives to using grenades in airsoft? I think that they add to the realism and the atmosphere of the game. 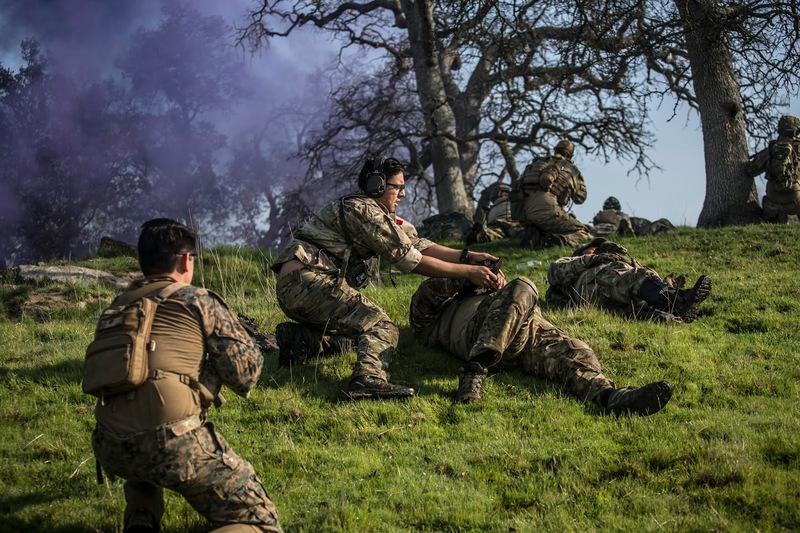 Many players, not all which I need to stress, but many like an element of realism to their airsoft games and airsoft grenades definitely add to this – from the sound of a thermobaric going off, to the thud of impact when a pyrotechnic drops its payload to the smell and sight of thick smoke on the field. It adds another element to the gameplay and makes it more immersive. 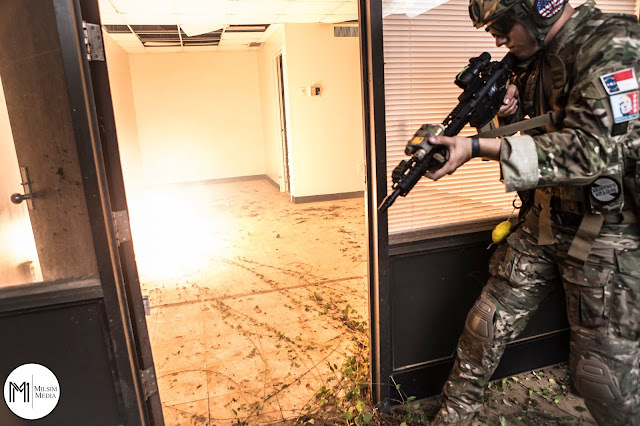 They are a tool that can get you out of a tricky situation – from getting into hard to breach rooms to take objectives to getting you out of being surrounded by enemies! Grenades can help players maintain the progress of the game, especially when it comes to attack and defend games. They encourage players to get into the thick of it! You usually have to be closer to the enemy to use grenades than you would if you were just going to shoot them. I appreciate the argument that pyro can be thrown from a distance, but more often than not, when I use my impact BFGs I have to be closer to my opponent than I would be if I was just to shoot them, especially if an impact BFG needs to be thrown arou­­nd a corner – you need to be on that corner to ensure deploying the grenade is safe to do so. They’re also so much fun to use! 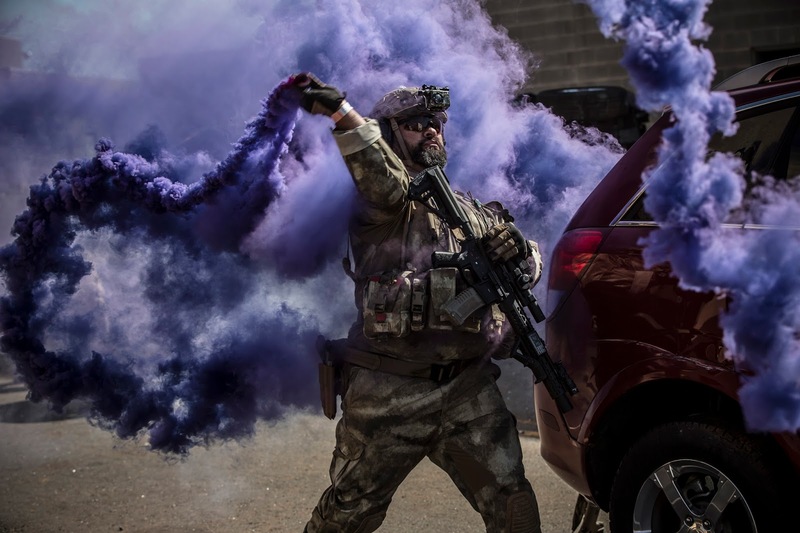 Using smoke and bangs isn’t something, as a civilian that you get to do every day so using them in an airsoft game is super fun and pretty cool! What are the negatives of grenade use in airsoft? They can cause injury – whatever way you look at it, they’re a pyrotechnic device and can cause injury. From players burning themselves on fizzy pyro to getting smacked in the head by a TRMR when they’ve been crouching behind cover, they do pose a certain risk. This can be negated by players wearing the correct protective equipment such as helmets and gloves, and also taking more care/following site rules when using pyro. As they’re quite expensive – especially for BFGs such as TRMRs and VTG grenades, they can promote pay to win with players who have more disposable income owning more grenades and having more access to them. A blank fire grenade such as a TRMR will set you back around £85, and one use disposable pyro costing between £3-20 a pop depending on what brand/type you choose they are a costly investment in the game. Daniel Atkins: An absolute must for CQB. Chris Adams: I think they can be really useful but I don’t think players should be carrying around 10 TRMRs at a time in CQB as they don’t actually use any skill if every room they come too they just bang it. 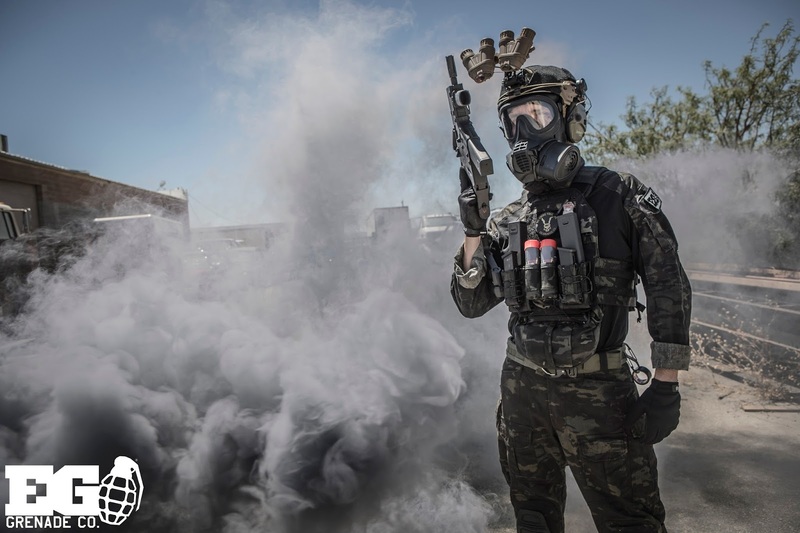 Mark Turner: As a lot of Airsoft players are generally wanting their experience to be as realistic as possible, grenades are part of that, but I do think that you should be limited to 2/3 each or one TRMR if you have a multi-shot base. Otherwise, things just get overly explodey. Keith Fox: Simply put they're just another tool. You're actually at more risk using a grenade (due to proximity to enemy) than you are quietly sniping from cover. An absolute game changer but I can see why some would argue its airsofts version of pay to win. Darren McNally: Grenades are a must for CQB especially BFGs. If you are taking an objective that is defended well they can change the game completely from the attacking force getting slaughtered to achieving the objective. Pyro as well can help push you forward by getting the opposing force taking cover allowing you to push forward. I think these can enhance your experience in airsoft but someone carrying 10 TRMRs on their person is just overkill. I personally carry an Alphatec Hex and a VTG. Bob Atkins: Use them in the real world, use them in the airsoft world. Lots don't use them properly anyway. Nick Thompson: Used with the right rules, and more importantly mindset, they can make a difference for both offensive and defensive teams. A growing problem is overuse, especially of multi bases. At MilSim events I have attended this has been combated by limiting the carry capacity to a set number of bangs with no reloading away from the fob (same as with bb's). Scott Allan: I would predict in the next few years they’re almost illegal by insurance companies. Blame and claim culture has seen our site targeted by people trying to make a quick buck after burning themselves. Won’t be long before the insurances companies just say no Pyro if this continues. Tom Hibberd: I’m not a fan of impacts. Find them pretty ‘gamey’ especially multi-shots. Timed pin pulled BFGs are great, however. Karl Avery: Always used the TLSFX gear as Peter and the team have awesome products for smoke screening and room entry bangs as they do startle but pyro in Airsoft doesn’t work in the main as most run away when they enter the room unless you are using impact grenades and again due to their construction they can only be deployed in certain ways/events otherwise they could cause serious harm. Will always use pyro regardless as who doesn’t like the sound of a triple bang going off in a room. Jester Lestat Draven: Smokes and bangs make a better game....cover...room clearing..smack and chase...it’s a bit of kit that all can afford even cardboard frags are fun and useful. Hardwick, K. (2018). Grenades in Airsoft. Airsoft Action. 85 (March), 64-65. 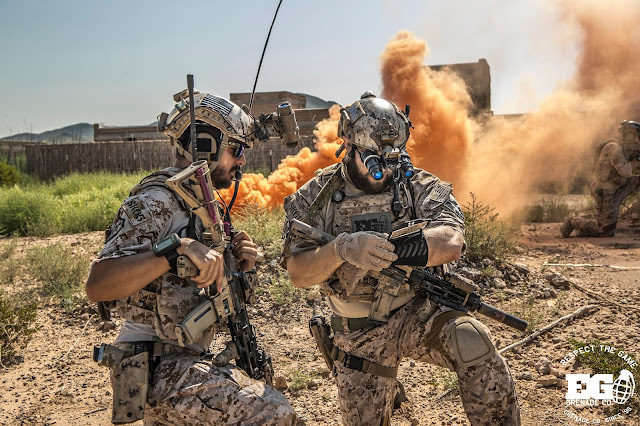 Photography thanks to Daniel Castro of MilSim Media and Enola Gaye USA.